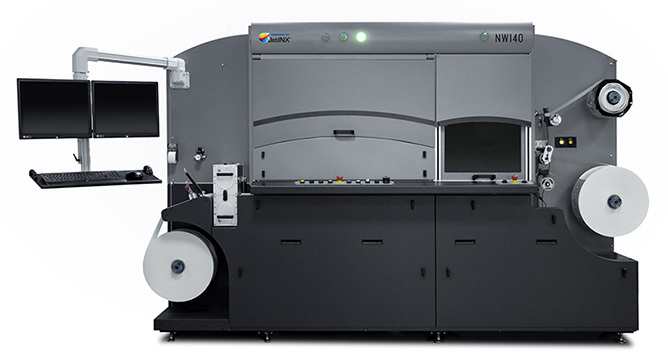 Spartanics has partnered with INX International to develop an in-line digital printing system with laser converting capabilities that has revolutionized the digital printing industry. The NW140 is designed to make your production line flexible with today’s growing market demands. With this digital printing system, manufacturers can now run long jobs and short jobs as well as commit to fast turnaround times. The NW140 provides the true lean manufacturing solution with plate-less digital printing and digital in-line laser cutting all in one. For more information on how Spartanics can provide a solution for your specific needs, please contact us by filling out our ‘Contact Form’ or call us today at +1 (847)394-5700.